After a relatively calm regular session, Gov. 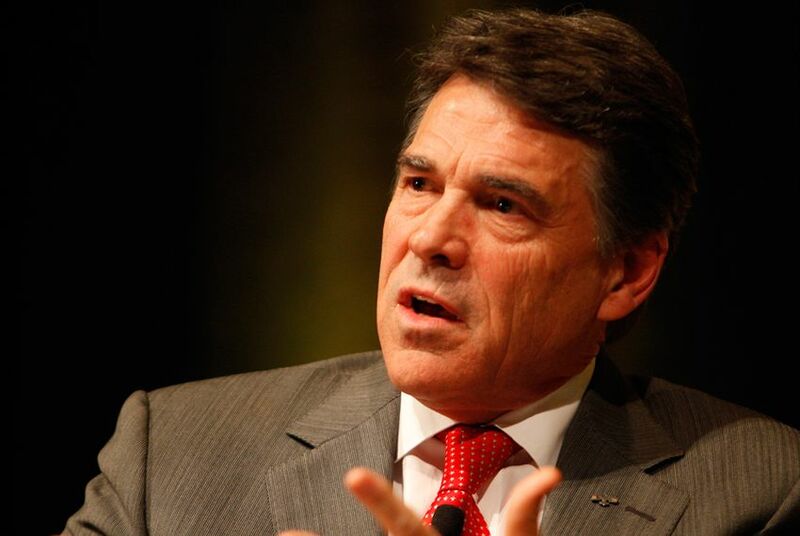 Rick Perry is flexing his partisan muscles as the special session presses on. Redistricting, abortion-related issues and a threat to cut off state funding for the Public Integrity Unit are ratcheting up tensions. Gov. Rick Perry has ensured no one will affix that label to the current special session — and maybe to a second one, if it comes to that. The state's longest-serving governor called the current 30-day session at the end of last month for the redrawing of the political boundaries. The redistricting process already is dragging out longer than proponents said it would, and it has led to predictable sparring between the two major parties. This week Perry injected two new issues, equally explosive and with potentially far-reaching implications, into the body politic. And the week isn't over. On Tuesday, the governor announced that he was adding abortion restrictions to the special session agenda, eliciting praise from fellow GOP lawmakers and his conservative base but riling Democrats who hope to cast the effort as an attack on women. “We have an obligation to protect unborn children, and to hold those who peddle these abortions to standards that would minimize the death, disease and pain they cause,” said Perry, who has also expanded the special session agenda to include transportation funding and legislation related to punishment for capital felonies committed by 17-year-olds. Democrats said putting abortion on the call — after restrictive measures failed to gain traction during the regular session — was an unnecessary and divisive move. Sen. Leticia Van de Putte, D-San Antonio, said there appeared to be a truce in what she called the Republican “war on women” during the 140-day session that ended May 27. She noted that a bipartisan group worked to restore some of the funding that had been cut from women’s health care programs in the 2011 session. It’s not clear what abortion legislation will emerge, but Republican leaders are pushing initiatives to outlaw abortion after the first 20 weeks of pregnancy, along with new regulations on the clinics where they are performed. Proponents say the clinic regulation bill will improve women’s safety, but critics say it’s a thinly veiled effort to shut down most of the state’s abortion facilities. Even before adding abortion to the special session agenda, Perry was stirring a different partisan pot with his threat to wipe out state funding for the criminal prosecutors who investigate public fraud and corruption cases. It’s a direct attack on the embattled Travis County district attorney, Rosemary Lehmberg, a Democrat who spent time in her own county jail after pleading guilty this year to drunken driving. Perry is vowing to veto state funding for the Travis County-based Public Integrity Unit unless she resigns, officials close to the governor confirm. The deadline for zeroing out the funding is Sunday. Democrats are crying foul. They say the governor should keep his hands off of a unit that investigates the very state agencies he helps oversee as governor. State Rep. Chris Turner, D-Grand Prairie, chairman of the House Democratic Caucus, said Perry is quickly draining the bipartisan goodwill that legislators built up over the last few months. Democrats can’t do much about it. Republicans have a 95-55 majority in the House and a 19-12 advantage in the Senate. Though Senate Democrats normally can block controversial legislation using the so-called two-thirds rule that gives the minority party real power, Dewhurst — who presides over the upper chamber — is dropping that procedure for the special session. Jim Henson, director of the Texas Politics Project at the University of Texas at Austin and a Texas Tribune pollster, said Perry’s recent moves highlight a “fairly shrewd use of his position” and are likely to play well with Republican voters who have controlled the outcome of statewide races in Texas for years. While his power is somewhat limited in regular sessions, the governor can call an unlimited number of special sessions and has the sole discretion to decide what goes on the agenda.